Replacing open fires with cookstoves helps burn less wood. Less wood = less carbon pollution. The Indian word, Quechua, means abundance. Across Peru, there is an abundance of beauty and hard-working people. There is also an abundance of carbon pollution being produced by open source fires used for daily cooking. These stoves produce tonnes of CO₂, which pollute the planet and cause respiratory illness. By providing families with clean cookstoves that require less wood, both humans and the planet breathe easier. Bottom Line: Help get improved cookstoves to families that will reduce deforestation and prevent the release of CO₂ emissions. Cookstoves that burn wood more efficiently are replacing three stone fires or simple terracotta stoves. The new stove combusts wood more efficiently and has a chimney so smoke is naturally drawn out of the house. With less smoke inside the house, children are now healthier. On average, this stove burns 1.9 tonnes of wood less per family per year. Less wood also means families save money buying fuel or time gathering it, while conserving local forests. Families can also take comfort in knowing repairs are funded by the project, which extends the life of the cookstove and ensures clean air for years to come. 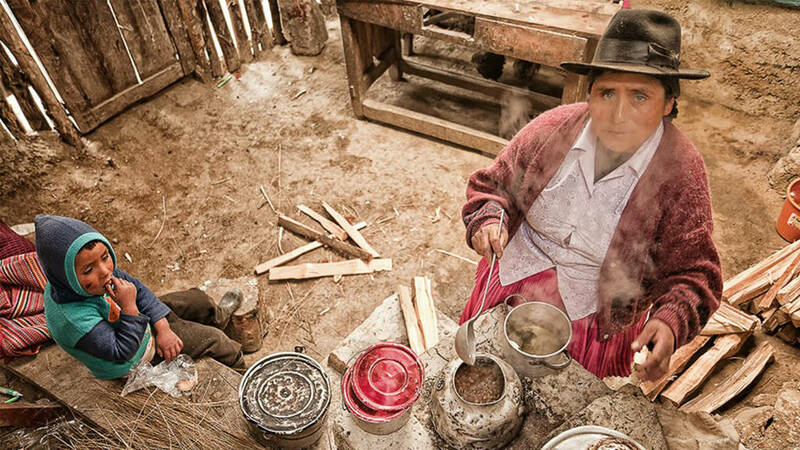 To date, more than 107,000 Peruvian families have received a new cookstove. Smoke goes outside the home, meals are cooked faster, kids are healthier, and families save money and time. Peru is also home to 70% of the world’s tropical glaciers. Reducing greenhouse gas emissions in single homes works to collectively preserve the beauty of Peru and the planet. Eutemio Miraval of Huanuco has witnessed firsthand the transformative power of this project. The monitoring and execution by local project partners are exceptional; the cookstove diffusion scheme is designed locally and considers the geographical and logistical context, which has helped improve monitoring and maintenance. The cookstove efficiency has improved due to excellent monitoring, and drop-off rates continue to be very low. We go the extra mile, or kilometer, to make sure each project’s carbon-cutting is effective, and the use of funds is efficient. Sign up to receive climate news and tips on how you can make a personal impact. You’ll receive stories about the people whose lives we are helping and news from our community. This email is invalid, please try another. This email has been rejected, please try another. This email has been deleted, please try another. This email has previously been unsubscribed, please try another. This email cannot be confirmed, please try another. There was an error, please try again.